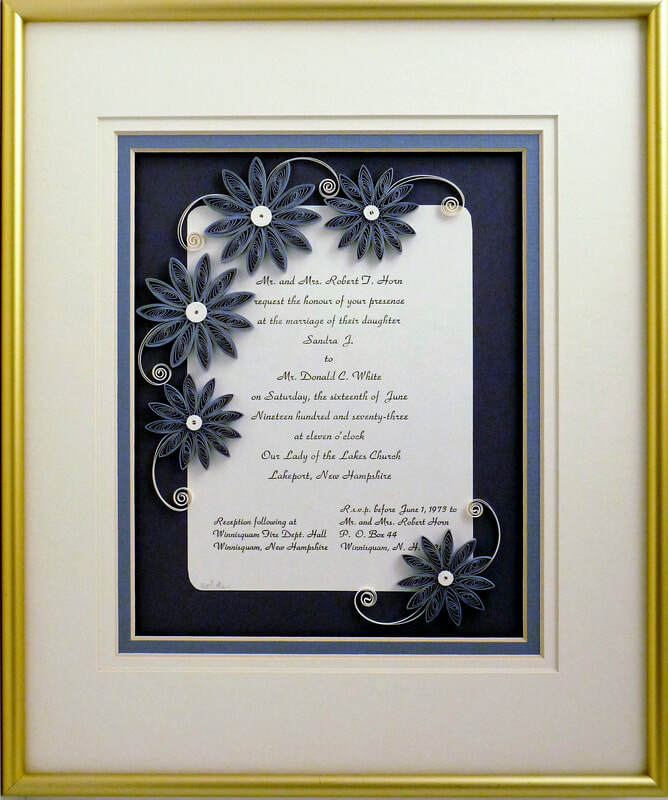 Thanks so much for signing up for my Bridal Registry for a quilled wedding invitation keepsake. All information that you provide will be kept confidential until someone contacts me with your name and wedding date. If you wish another of my designs, click here.